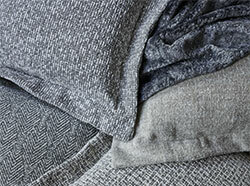 ‘Modern Country Weaves’ by Mulberry Home takes a fresh, uncomplicated approach with this outstanding collection of beautiful textures each with their own relevance to the contemporary interior. 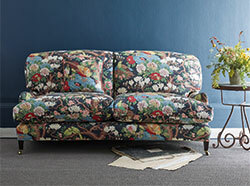 For this collection Mulberry has moved to a more serene, romantic palette reflecting nature’s gentler colours. Classic, quiet neutrals and muted shades of teal and indigo, following today’s decorating trends, are not just for cool country houses, but are perfect for instilling the peace of the countryside into the heart of any town house.